Gollancz never fail to disappoint. I have yet to read a book from their S.F Masterworks collection that I did not enjoy even a little bit. The collection is expertly chosen by people who know their Science Fiction inside and out. 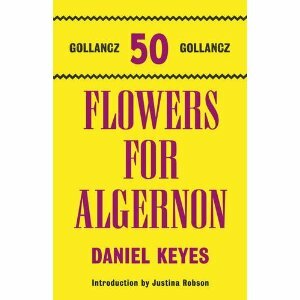 Flowers for Algernon appeared in their top ten list: http://www.orionbooks.co.uk/genres/sf-fantasy/gollancz-blog/the-results-are-in!. I don’t usually go for an epistolary style novel; however this seemed the only logical way to tell Charlie Gordon’s story. His character was deeply thought out and explored during the novel with ample time given to the science behind the fiction. The psychological reasoning behind the success of Charlie was as interesting as his failure. Each moment of the process was mapped out in intimate detail giving the whole novel a deeply human feel. 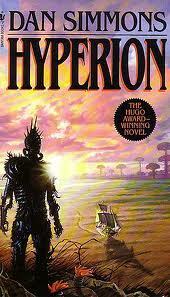 I would recommend this to a reader who has not read a lot of Sci-Fi and wants a gentle way in to the genre. You don’t need a vast knowledge of science to read this book (as with The Quantum Thief). Promissory Payback is a short crime story following Detective Jane Perry’s investigation into the murder of the much-hated Carolyn Handel. It is difficult to find someone who wouldn’t want to kill the self-obsessed money-grabbing sixty year old who made her living out of other people’s suffering. Though absent from the action, Carolyn Handel still twists and manipulates emotions from beyond the grave. “Evil requires the sanction of the victim” is Jane Perry’s motto. In her life victims are in a situation of their own doing. If someone wants to kill you it’s because you have done something so terrible you deserve it or because you are too weak to fight them off. Be strong. If not carry a gun. 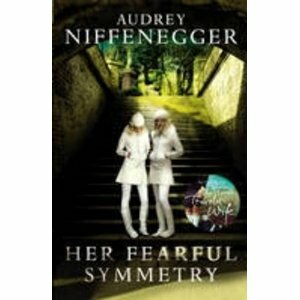 Perry remains suspicious and detached from every character in the novel as one would expect from a murder investigator. However during their first interview each potential suspect falls foul of verbal diarrhoea and spews incessant facts about themselves. This seems unusual for a first conversation with a stranger, especially when that stranger is a detective. Snappy dialogue exchanges propel the story forwards with a gripping pace. A lot is revealed about each character from what they say; any gaps are filled in with Perry’s impeccable intuition. Her skills at reading people do border on omniscience at times which is distracting. Long descriptions and the occasional runaway sentence make for awkward reading at the beginning of the story and the abundance of clues does dilute the suspense at times. 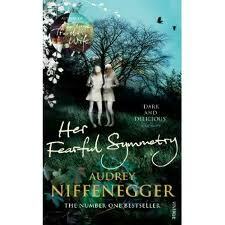 However the ending is powerful and packed with the emotional vengeance of Carolyn’s greatest victim. A patchwork of cleverly crafted short stories glued together with intrigue, action and suspense. Simmons opens with a staggering visual scene in keeping with the convention of filmmakers. Although this passage is slightly off-putting and difficult to follow, especially if like me your experience with sci-fi jargon is limited, the novel that follows is a fascinating read. The protagonist chops and changes depending on who is telling the story. Each character on board the pilgrimage have their own history and a voice in which to tell it. Flashbacks can detract from the story but in Hyperion the character’s reason for being conscripted or signing up for the pilgrimmage is as compelling as the current action of the pilgrimmage itself. The varying narrative points reminded me briefly of Italo Calvino’s If On A Winter’s Night A Traveller, where it is difficult to enjoy the story as it finishes just as you start to get into the meat of it. I admit it is a little frustrating not to see how the story pans out from one perspective but the next story is (usually) interesting enough to help you forget the awkwardness. As the layers of mystery is peeled away from each character in turn after you have ‘listened’ to their story so it is piled on else where in the current action. If you have the patience for a long read and fancy a bit of interstellar travel this book is well worth a look! A hauntingly emotional read from start to finish. 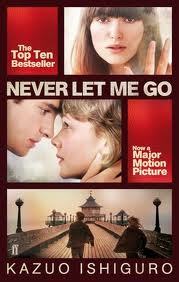 Never Let Me Go is narrated by an ex-Hailsham student now working as a carer for various ‘donors’. Kathy relives her past in the knowledge that she only has a few months left as a carer. Through her story she paints a vivid picture of futile hopes and the beauty of relationships. In the beautiful setting of Hailsham Kathy develops a close friendship with Ruth, a neurotic and harsh character whom Kathy loves regardless. Aside to this, Kathy begins a more tentative friendship with Tommy, the bad-tempered odd boy the others decide to pick on. As Tommy and Ruth grow closer Kathy gradually finds both relationships become more difficult to maintain though she retains many sentimental memories of both. When Kathy comes to leave the Cottages, a more grown-up take on the idea of Hailsham where the students are more independent, she is estranged from her childhood and relishes the new challenge of being a carer. When she encounters the old faces once more she is forced to face up to her past and everything her memories meant to her. Never Let Me Go reminded me of A Time Traveller’s Wife in how it combined romance and drama with elements of science fiction. Though the mechanics of the science part was not dealt with in detail, the moral implications and the consequences make for very interesting and emotional reading.